End of AIDS in sight? With the number of people being diagnosed with HIV falling, AIDS could one day be eradicated, experts claim. A report from the United Nations said this was thanks to better access to drugs that can both treat and prevent the incurable human immunodeficiency virus (HIV) that causes AIDS. At 2.5 million, the number of new infections in 2011 was 20 per cent lower than in 2001.Deaths from AIDS also fell to 1.7 million in 2011, down from a peak of 2.3 million in 2005. An aggressive and effective prevention programme against HIV-AIDS has been started in British Columbia. The results of are very impressive. The numbers of new HIV cases and AIDS deaths were reduced significantly. The strategy encompasses searching for people at high risk of HIV infection and convicting them into being tested. HIV-positive people are treated by early antiretroviral therapy (ART). This approach lowers by 96 percent spreading the HIV infection. 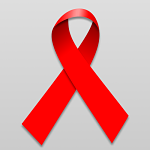 There is still no cure in sight for AIDS - one of the most devastating diseases of the world. HIV affects the lives of millions people worldwide. Until a solution is found, our greatest weapon against HIV/AIDS is knowledge.